The Sock Bun... I need to learn to do it properly! Such gorgeous inspiration pictures! Definitely getting excited for fall fashion! I love all of these trends! Especially burgundy, such a hot color! Love this new trend--especially brocade--reminds me of an old ruby red couch we used to have which I always thought was a bit gussied up!! In small quantities, in an outfit, it is gorgeous! I love the pictures, the first picture, I love the prints and using gold and black together! 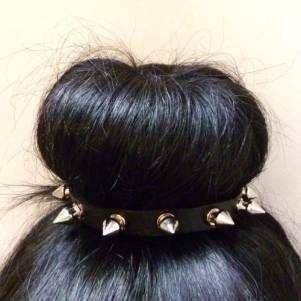 the bun with th spikes looks pretty awesome think i might order some spikes and do a DIY. Great pictures! I'm so ready for fall! I like so much burgundy trend! su su che hanno detto che da mercoledi le temperature risalgono .. non sono pronta e il primo giorno di quasi autunno mi ha portato 37.2 di febbre!! voglio di nuovo 30 gradi!! Such a cool inspiration! Love it! Hey thanks for your comment on my post! I have just started following you, please follow back! Love you blog, thanks for checking out mine. Sure let's follow each other, I'm already following you via GFC. I love these photos, they make me so excited for Fall!! 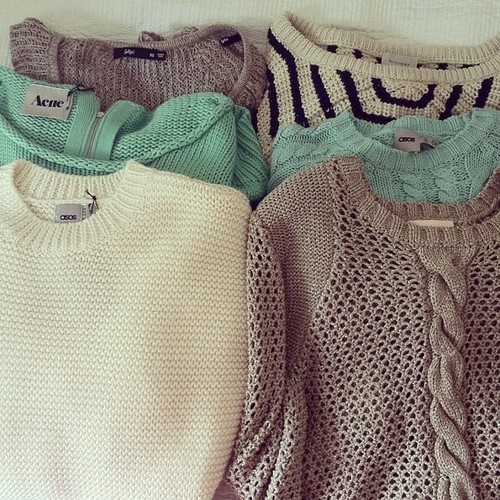 Especially the chunky sweaters!! so many great inspiration pics <3 lovely post! 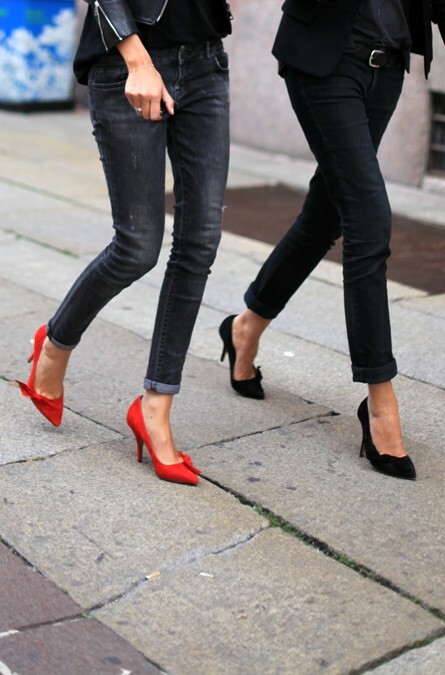 Gorgeous inspo - loving the red pointy heels too! love the sweater photo, let's have it for fall! beautiful selection of images, love them all. Follow each other? Thanks for your visit! Of course we can folow each other! U have a cool blog, nice new season inspiration, in my case loving military style an knited! See u back in "KS"
I love all of the photos ^^ Great post! hey Elisa! it´s my first time visiting your blog. oh and i started following you on GFC! feel free to visit my blog and follow back if you like it :) XO! voglio un outfit come quello della quarta foto!!! Great inspiration! thanks for stopping by my blog. btw I'm following you now on GFC, follow back?